Bellina Amethyst Earrings are sophisticated and vibrant. 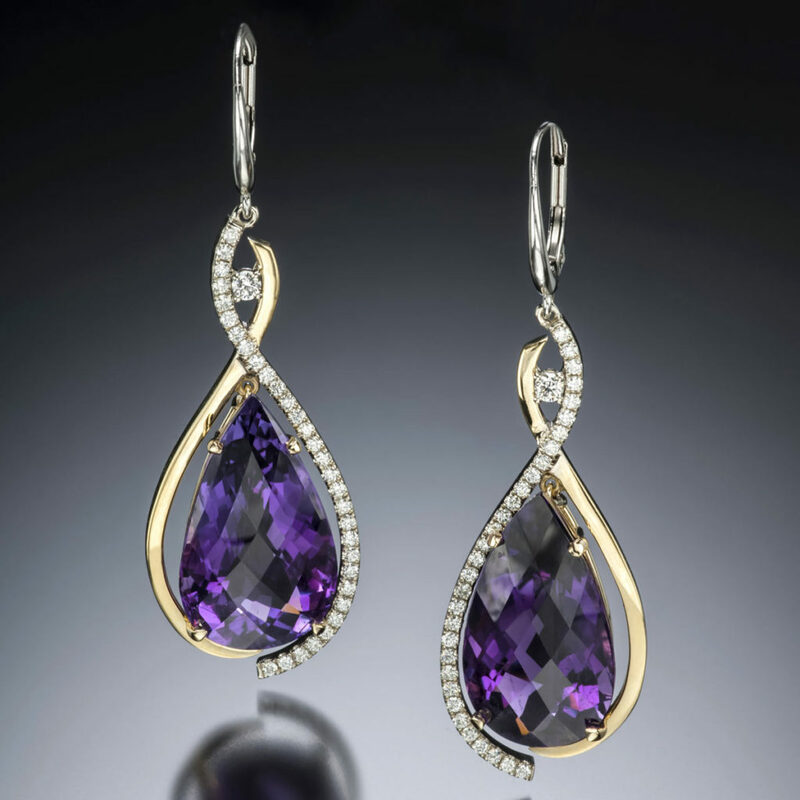 This unique earring design showcases generous, tear-drop-shaped amethysts in a two-tone gold setting with accent diamonds. Call (949) 715-0953 or use our contact form below for additional information.